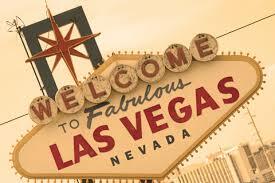 My Frugal Miser: Is This the Most Frugal Vegas Trip Yet? A week from today we are leaving for six days in Vegas. One of the best parts of being self-employed is enjoying a flexible schedule. When Spirit Airlines had a 99% off fare sale last month, I started looking at flights. This is the second 99% off sale we have been able to snag. The first time I saw this offer we went to Panama. You still have to pay taxes on the flights, but this time we grabbed two tickets to Las Vegas for $92 each round-trip. I also redeemed my Hertz Free Week certificate that I received when I bought my car. I still pay taxes on that, too. Taxes should be around $184 for the premium vehicle I rented. This isn't a "great deal", but rates were really high the week we are visiting. The coupon does save me $700 off the cost of a premium vehicle rental. Last, as always I found free hotel rooms. The only downside is that we have to move to different hotels throughout our stay: we are at the Fremont one night, the Suncoast two nights, and the Downtown Grand two nights. While in the area, we will drive to Phoenix for the weekend. I am paying for one night in a hotel there. This room ($90+tax) helps me to meet the requirements for a 30,000 point bonus at IHG (worth about $300). While in Vegas there are a few ways I plan to stay frugal. We pay attention to pay tables for one thing. Since 90% of my gambling is on video poker, I use vpfree2.com to find the casinos with the highest pay tables. Boyd casinos are usually generous, and Main Street Station gives you a scratch-off card usually worth $2 cash every time you hit a 4-of-a-kind. The casinos offer us comps even though we usually stick to full-pay video poker machines. All our rooms in Vegas are comped, and the points we earn from playing usually cover our meals. I also look for point-based promotions to earn free stuff. Casinos often give free buffets, t-shirts and other prizes if you earn a certain amount of points, usually on slower days like Tuesdays. We also redeemed MyVegas rewards for 4 free buffets and two free margaritas. Getting away for a week is good therapy. Spending too much time at home right now is stressful because there are so many repair projects I need to do. Driving for Uber was occupying my time but now they've done away with hourly guarantees and it is hard to find profitable times to drive. As long as I limit my gambling, this trip will be a very inexpensive getaway.